Sheep and goat graze on a green meadow. hd00:25Flock of sheep grazing on a field of farmland in South Island, New Zealand. 4k00:11Cows lie on the green grass in the mountain pasture of the Alpine mountains. Gray and white cows graze in a mountain meadow. hd00:21Sheep and goat graze on a green meadow. hd00:11Jersey dairy cattle graze and move in a pasture full of white clovers - wide shot. 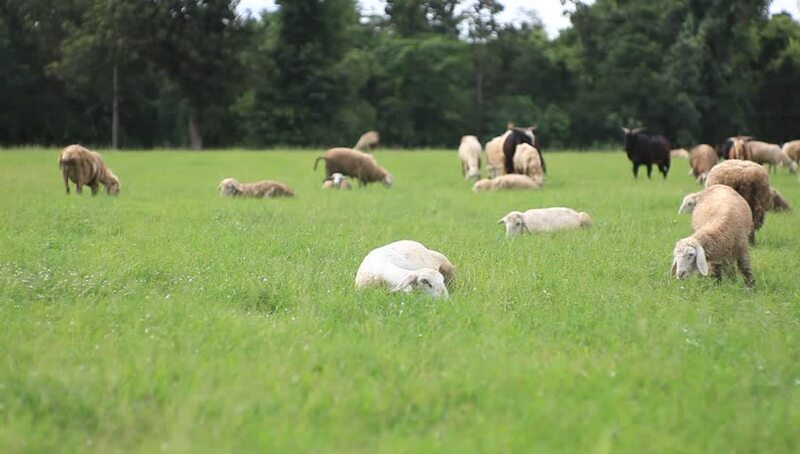 In this natural form of grazing they move several times a day to a new forage area.